Malabrigo Arroyo in ‘English Rose’, ‘Plomo’ and ‘Lotus’, two skeins of Silky Merino in ‘Mares’ and a skein of oh-so-soft Finito in colourway ‘Dewberry. 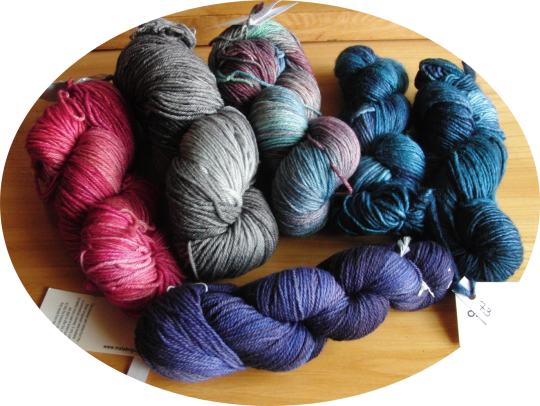 I love all of them – a huge thank you to Malabrigo Yarns for such a terrific prize! Now, what to make first? P.S. 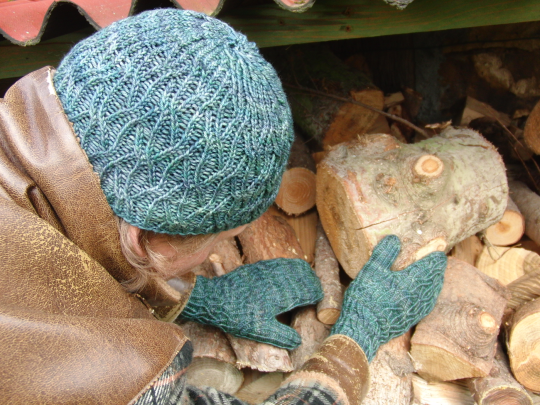 ‘Flowing’ is currently being test knit and the pattern will be available for download in a couple of weeks.